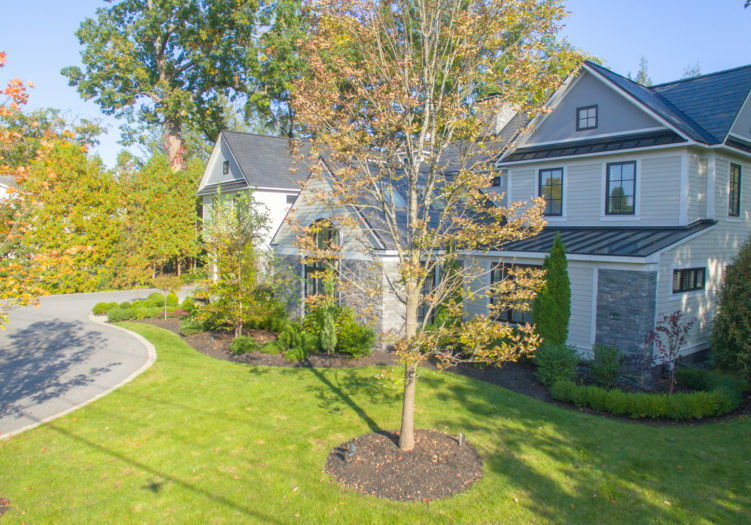 Radiating luxury and class throughout, this state of the art Smart Home is centrally located in the most desirable neighborhood in the heart of Saratoga Springs, NY, the Northeast’s premier equestrian and vacation destination. From the moment you pull up and notice the hand-chiseled Corinthian granite, the custom-designed trim and the beautiful dark European slate roof, you know this is a special home. The gorgeous facade is just the beginning of the marvelous level of quality and customization this home has to offer the discerning owner. 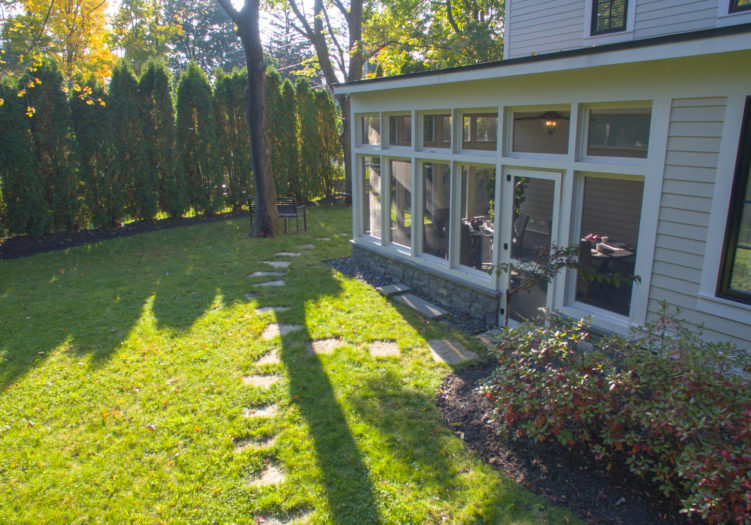 Herringbone Brussel pathways leading to the secured, fenced-in backyard, with twilight featured “Moonlighting” to enhance the decadence of the home, and plentiful outdoor entertaining space on the open deck. As you enter the front door of the home, you are welcomed with quiet surround-sound music, managed centrally but controllable from 5 iPads conveniently placed throughout the home that manage the heating, cooling, music, and other systems of this fully-equipped smart home. You are immediately met with an impressive, fully-furnished and decorated home as you enter, with a sophisticated chic ambiance and international curation of furniture, artwork and overall decor. The large elegant chandelier hanging in the center of the formal living room, captivates your attention and draws you in. Skylights in the cathedral ceilings, naturally brighten the warm ambiance of the living room, creating a welcoming environment to your guests and a great place to entertain. The formal dining room is equipped with China closets, a Butler’s pantry and gorgeous Corinthian granite fireplace. Off of the dining room you will find an enclosed outdoor, screened-in porch, for dining and recreating, where you are able to enjoy coffee or feasts in the more temperate months. A large modern chef’s kitchen with custom cabinetry, imported marble countertops with quartz and local Corinthian granite accents and top of the line appliances adorn this amazing kitchen fit for the most exacting chef. This open-concept kitchen that spills to informal sitting area and office as well as the back deck, allows for plenty of room to entertain and accommodate many family and friends comfortably. Whether they are enjoying the sitting area in front of two-story Corinthian granite fireplace, or sitting at the breakfast area, everyone will feel close, yet comfortable. A dome skylight located in the middle of the kitchen, helps accentuate the many textures and colors you will find in this room. A study and workout room are just some of many rooms to be found on the main level. However, venturing down stairs off of the formal living area, you will find a stunning wine cellar. The sculpted oval mahogany door and cabinetry, will just be some of the many custom features you will notice in this special room, that will be discussed among your guests during a wine tasting. Four full en-suite bedrooms each with their own spacious custom bathroom, offer plenty of space to host family and friends for the holiday’s or track season in the summer. The master bedroom is truly stunning, and comes with His and Her bathroom and full walk-in closets, custom-made with cabinetry and imported marbles and onyx to suit both tastes. Custom made curtains and European wall coverings, as well as mood lighting and intricate crown molding and millwork throughout, create a serene environment that is truly comforting. Cathedral ceilings draw you into the hallway, where you will find a library and sitting area to read. Taking you into the next 2 en-suite bedrooms. Both bedrooms on the second floor, offer two distinct classic styles, creating privacy and relaxation spaces for family or guests. Wrapping our way around the house and downstairs to the main floor from the second back staircase, you will find another en-suite bedroom on the first floor southern wing of the home, perfect for in-laws, or multiple guests. With full bathroom and walk-in closets and washer and dryer, this suite is complete and private. Soft traditional with contemporary overtones, hand-tooled and one-of-a-kind millwork, white and red oak floors, locally-quarried natural stone, ecologically friendly wooden blinds are just some of the features that adorn this amazing custom home in every room. This fully-wired Smart House makes it easy to control and access central heating and cooling, lighting, music and all other house systems. Back-up gas-fueled power generator to ensure all systems are always functioning and to create enduring peace of mind. 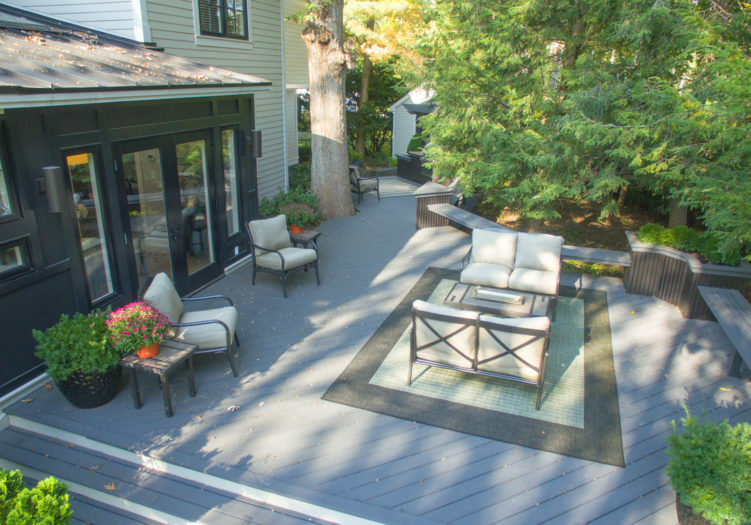 The luxurious features and state of the art technology, make it a pleasure to relax on the expansive deck where you can find the chef’s pergola in the summers, or cozy up in front of the handpicked custom fireplace during the winter. 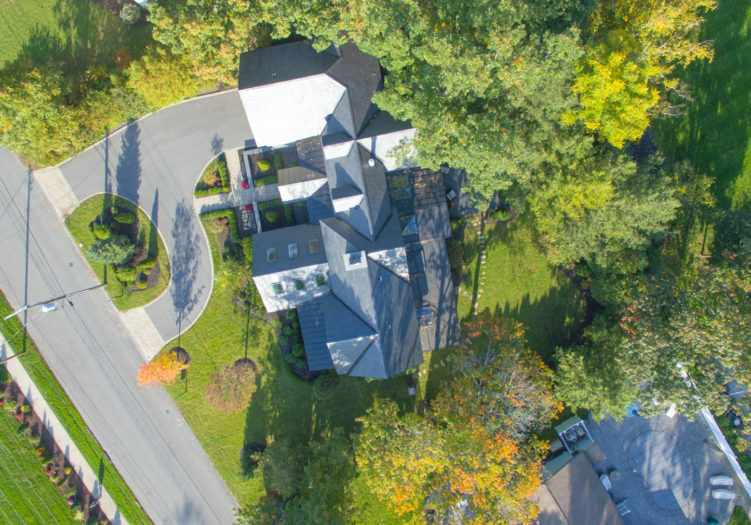 This is truly a World Class custom Smart Home located in the most desirable part of Upstate NY’s most sought-after destination, Saratoga Springs. This home is very close to area amenities and some of the best culinary options in the state, a great array of art boutiques, a mile to the famous Saratoga Race Track with the summer horse races, and a short drive to the Adirondack Mountains where there is skiing, boating on Lake George just thirty minutes north, and dozens of other activities and attractions which combine to make for one of the most diverse and varied four season lifestyles available anywhere in the world. For more information and to schedule a private tour of this extraordinary home and bespoke living experience, contact our Team today.